Our trips program is the foundation of camp. There is no better place to learn and grow than on the trail. A schedule packed with thirty trips in seven weeks allows each camper the opportunity to take a backcountry journey. 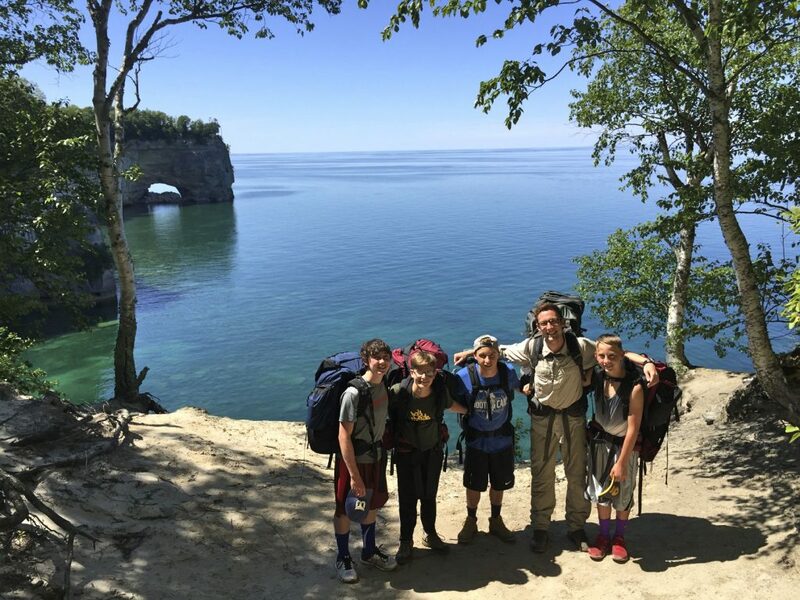 Leelanau & Kohahna’s trips program is focused on wilderness camping in destinations that are minimally populated and well-protected from the outside world. Carefully selected expert instructors facilitate a safe and valuable experience that is fun and educational. 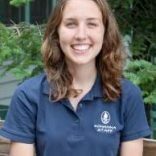 Learning to rely on one another, handling issues as a group, overcoming self-imposed limitations, and applying Christian Science to meet challenges are all lessons that are thoroughly covered on the trail. 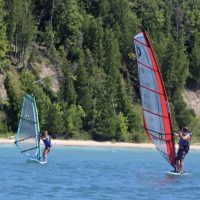 Leelanau & Kohahna offer hiking, biking, tandem canoeing, kayaking, and even an off-shore sailing trip every summer. 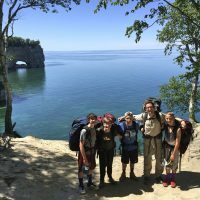 Additionally, each camp boasts famous competitive camping trips—the Flag Trip for Leelanau and the Challenge for Kohahna—that are some of the most fun and intense experiences anywhere. Anyone who has participated in these trips can tell of the lifelong memories and the new understanding of one’s identity as God’s child that are always part of these trips. With its crystal clear water and its warm summer temperatures, Glen Lake is the ideal location to run a waterskiing program. 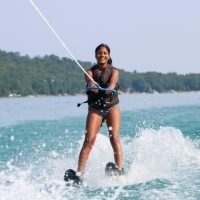 Waterskiing has long been one of the most popular activities at camp and it’s no wonder with two great ski boats, excellent ski equipment, and a gorgeous lake to ski on. Also included in our waterskiing program are opportunities to kneeboard, use trick skis, and wakeboard. 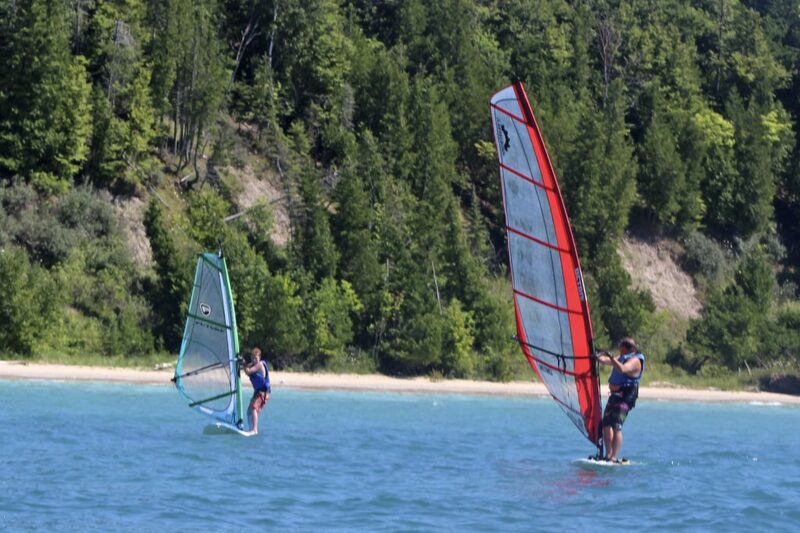 The wind and waves of Lake Michigan make Leelanau & Kohahna’s windsurfing program fast and fun. Boards and sails of all shapes and sizes allow novices and experts alike to enjoy an amazing windsurfing experience. Camp’s location on the edge of a point affords maximum wind every day. During the past few years we’ve been purchasing new equipment to make this activity more exciting and easier to learn than ever.